World Cup day 10 has come to an end. Time to recap all the action. This is a match everyone was expecting Argentina to win but considering the surprises we had so far in this World Cup you just never know. The game started with a very defensive but smart Iranian team that was able to stop the threats from Argentina for the most part. The game was played in large part in the midfield and neither team had many chances of scoring. Iran defended well and kept Argentina off their penalty box. Messi was playing too close to the penalty area and instead of attacking the Iranian defenders he was receiving the ball with his back to the net. 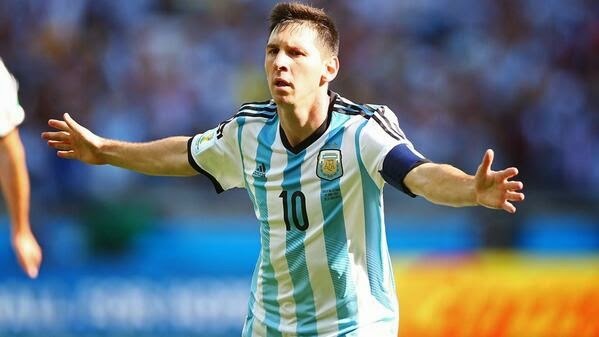 This is not where you want Messi if you are Argentina. You need him away from the net, facing the defenders and running at them with the ball. He wasn’t able to do it in the first 45 minutes. Each team had a very good scoring opportunity; the first one came to Argentina during a dead ball situation with Messi crossing a perfect ball and Garay missing an open header. He should and could have done better. That was their big chance to break the deadlock. Iran’s chance came from Hosseini, with an incredible header that went high. A few inches lower and Romero would had no chance at stopping it. At halftime it was all zeros. The second half was electrifying. Iran came out looking for a goal and taking the game to Argentina. They had several scoring opportunities, the first one with an incredible cross to the penalty area and Reza with a great header and Romero with an even better save. Romero wasn’t done, this time he denied Montazeri of the goal with the save of the game. Romero was quickly becoming the player of the game. Between those two great opportunities, Zabaleta takes down Dejagah in the box, a clear penalty that only the ref didn’t see. Iran was the better team in this second half, not only creating chances in front of the net but also controlling Argentina’s movements in their own area and keeping them away from their net. The last ten minutes of the game belonged to Argentina. They were able to push Iran into their half and start to cross balls into the area looking for a header from Palacios that had come in during the second half for a tired Aguero. Iran at this point just wanted to keep the point and the game in a 0-0 draw, but it wasn’t meant to be. Messi in the 90+2 minute gets the ball outside the area and curls it pass the defenders and the goalkeeper. It was vintage Messi and the goal Argentina needed to get the win. Three minutes later the ref blows the whistle and it is Argentina winning the match against a very good Iran side. This is the marquee match of the day and a very important match for both teams if they are to advance the group stages. Ghana started the game well and was able to keep Germany at bay. The German side not as explosive as they were against Portugal, but lightning almost never strikes twice. They had good amount of ball possession but really unable to create imminent chances of goal, a few times they came close was with Muller creating some problems to the defense, but unable to get a quality finish to those chances. Ghana played a better half than what they had shown against USA in their first game. They were hungrier for the ball; put more pressure on the player moving the ball for Germany and this kept Germany in check. They didn’t create danger moving forward but they were overall a better side than at their previous game. At halftime the game was tied at zeros and it was a fair result for what both teams had done during the first 45 minutes. The second half brought us two different sides, perhaps the coaches told the players that they needed to take it up a notch. Whatever it was said, it worked. Six minutes into the second half and a great ball into the box, Goetze with an incredible run in between two Ghanaian defenders and with his head puts the ball in the back of the net. Germany had the lead and they looked like they were ready to score more. The goal seemed to have awakened Ghana and only three minutes later, Ayew finished a wonderful cross with an even better header. The game was back on and both teams seemed to have smelled blood and wanted more. The game became open and both sides threw defensive awareness out of the window and went for the goals. It must have been the best 45 minutes of football I have seen so far in this World Cup. Nine minutes after Ayew scored, Ghana would score again, and this time was the Juventus player, Asamoah Gyan. Muntari with a wonderful threw ball and Asamoah from close range finished with power, no chances for Neuer. Lahm’s horrible giveaway originated this goal, it wasn’t his first mistake but it was the first one that originated a goal for Ghana. 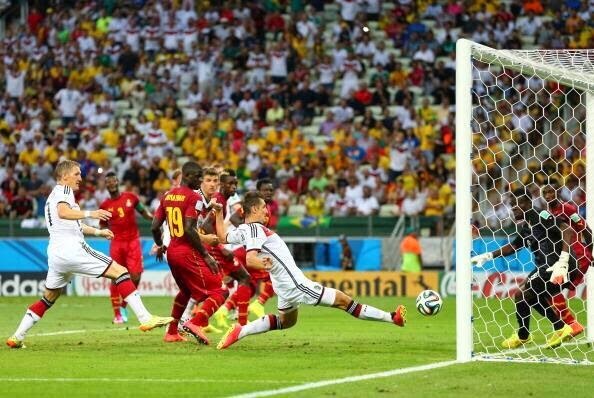 Germany added Klose, in search of a goal or two, and the big man wouldn’t disappoint. Seven minutes after going down 2-1, Klose would bring them level again. This goal would see him tie Ronaldo with 15 goals as the best two World Cup goal scorers of all time. Klose proved that age is just a number and he still has some cards to play at this tournament. Both teams continued to look for a goal that would give them a lead and perhaps the win. Both teams had chances but either great defending or poor choices from the midfielders prevented both sides from scoring any other goals. The game would end in a 2-2 tie, with Muller needing assistance on the field due to a collision with John Boye. For what both teams did in the second half, both teams deserved to win. These teams looked like a good match on paper coming into this game, but the first half was not filled with quality football from either side. Bosnia created two chances in front of the net; one was saved by the Nigeria keeper and the other was called for offside. During the first 45 minutes Dzeko was playing too far away from the net and in that range he is not a threat to Nigeria. When he was able to get close he caused problems. The play where he was called for offside was a huge mistake from the linesman, he was clearly on side. Nigeria did well to shake those two plays off and when attacking they did it by using the wings. Their wingers added speed and were creating problems to the Bosnian defenders, and at the 29th minute mark Nigeria scores by Odemwingie. It was a great run from Emenike down the right hand side with a cross and Odemwingie scores on Begovic. Both players play for Stoke City, first time ever a player scores on a goalkeeper from the same club team. Bosnians complain of a foul by Emenike but the ref didn’t call it. At halftime Nigeria leads 1-0 and Bosnia with serious reasons to be unhappy with the referee of this game. The second half brought a more intense Bosnian side; they were looking for a goal that would re-launch the game. Nigeria came in with other plans. It was obvious that Nigeria’s goal was to not allow a goal, so they dropped their lines, defended closer to their box and tried to surprise Bosnia in quick counter attacks. Bosnia tried everything possible. Long range shots, crosses into the box, long passes, but nothing seemed to work. They were able to break down a very well structured defense and an incredible goalkeeper that in the 94th minute had the save of the game. He stopped a shot from short range by Dzeko. It was a pure instinct save that kept Nigeria in the game. That was as close as Bosnia had been all second half, that incredible save saw Dzeko’s shot hit the post and bounce back. Bosnia was inches away from a tie that would have kept them alive in the tournament. The game ended a minute later and Nigeria has secured the win and 3 points. Bosnia Herzegovina was officially eliminated from the tournament. Bad luck for the tournament rookies. Nobody got the exact results today.